By Darragh Mowlds | October 2, 2013. RTÉ’s gangland drama Love/Hate returns to our screens this Sunday, October 6. The hit show has been one of RTÉ’S biggest successes in recent years. 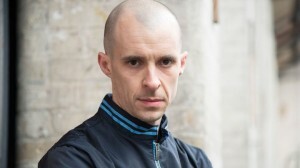 Love/Hate is written and created by Stuart Carolan and produced by Octagon Films for RTÉ. The return has been widely anticipated with rumours circulating about the plotlines throughout the summer. Many members of the cast appeared on last week’s episode of The Late Late Show. This season will give more of a focus to the Garda perspective of the drug war with it being revealed that some undercover guards are set to infiltrate Nidge’s gang. Despite being seen on set during filming, it has been confirmed that Robert Sheehan’s character, Darren, will not return for the 4th season. The show which is filmed across the Dublin area has been sold to several other networks across the world including ones in the UK and Australia. Previously, the show had aired around November but the producers decided to air the show earlier to create a bigger impact. General plot lines have been revealed but the show’s star Tom Vaughan-Lawlor joked that his life “wouldn’t be worth living” if he revealed whether his character survived the series. You can see the latest episode, this Sunday at 9.30pm on RTÉ 1.